President Donald Trump’s North Korean friend Kim Jong Un has tested new missiles. North Korea announced that it successfully tested a “newly developed high-tech tactical” weapon in presence of its Supreme leader Kim Jong Un. The details and nature of the armament tested is still unclear. The Korean leader Kim Jong Un was extremely excited after his defence scientists increased the nations defence capability. Any weapon testing could influence the ongoing peace talks between Washington and Pyongyang. White House has still not lifted any sanctions on North Korea. They remain until Korea abandons all its nuclear programs. The United States is working towards denuclearisation of the Korean peninsula. Recent report indicate that North Korea has secret nuclear laboratories sites and are still experimenting with uranium. Donald Trump rubished these claims, he said this is nothing new and the US were aware of them. Trump further added that they have made significant progress with Korea and he would be the first one to inform if things turn topsy-turvy. 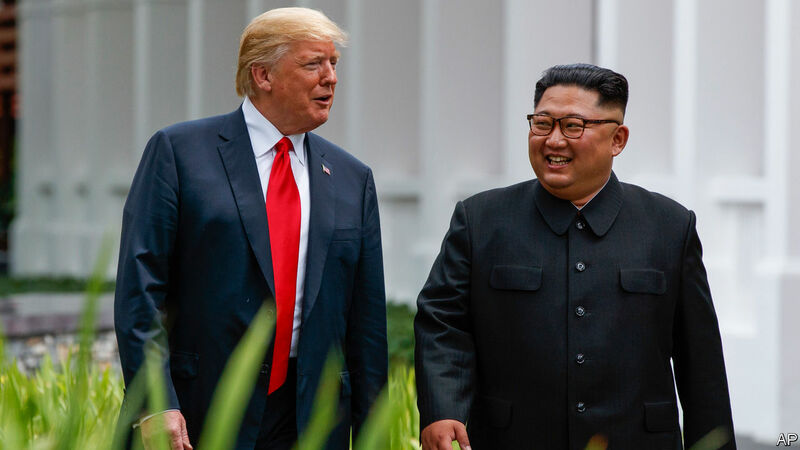 These two leaders Kim and Trump held talks in Singapore this year. If things go well there could be another meeting early next year. The Korean issue is the only one shot Donald Trump has to get the Nobel Peace Prize. With this reason in mind we are optimistic that the Trump administration will work towards making great peace deal.